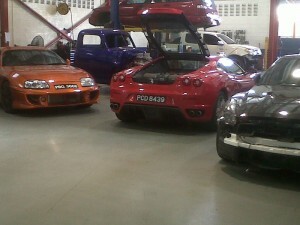 We at United Auto & Performance Limited have been involved in the Automotive Industry for over 30 years. Our most celebrated achievement has been our world-record-breaking race car; affectionately known as “The SKF Lancer” which was locally built and engineered by some of the team members of United Auto & Performance Limited. Given our longstanding experience and dedication within the Automotive Industry, it has been a natural and long awaited progression; one that has led to the conception and materialization of United Auto & Performance Limited. Although racing is a passion of ours, our main focus is that of general automotive (Mechanical & Body) repairs for all vehicle types. 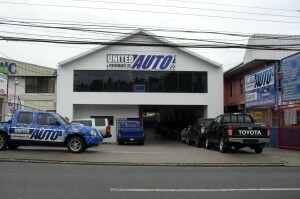 United Auto & Performance Limited is a state of the art, full-scale automotive center catering to ALL your car-care needs. Our shop is comprised of two core departments, housed under one roof: Mechanical, & Body Shop Services. Our highly efficient and friendly staff has been trained locally in their respective skill sets with reputations that speak volumes. We have teamed up with Mitchell 1 Auto Repair Information for accurate repair data and diagnostic aids, and with Castrol (Tracmac) for first class lubricants. Our Body Shop has partnered with Standox who not only provides first class paint & materials but also valuable ongoing technical training and support. I personally have received extensive automotive training within the United States and numerous certifications and appointments over the past 15 years relative to the services offered at United Auto and Performance Limited. Together we make a World Class Team and take great pride in customer satisfaction.